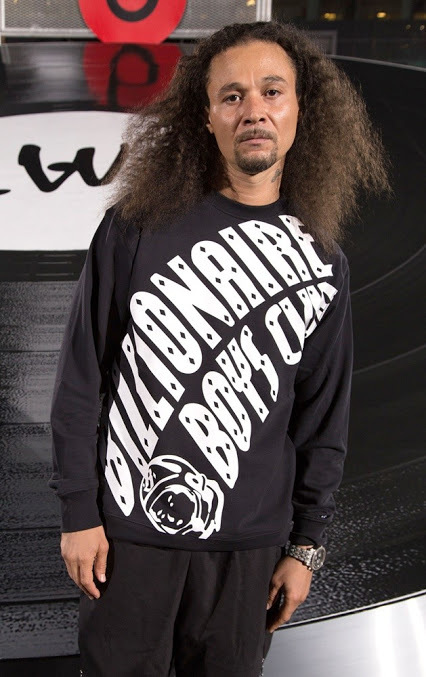 Bryon Anthony McCane II was born on 12 September 1976, in Columbus, Ohio USA, and as .Bizzy Bone or Lil RIPsta is best known as a the member of the group Bone Thugs-n-harmony. Bizzy has also had some acting experience, which has added to his net worth. So how rich is this rapper? Authoritative sources estimate that Bizzy Bone’s net worth is over $500,000, as of mid-2016. Despite being in a rap group, Bizzy also is known as a solo artist. As Bizzy is a very promising performer there would be no surprise if he would gain a lot of success in the future and that Bizzy’s net worth would grow. Bizzy’s childhood was nothing but hard, because when he was only 5 years old, his stepfather abducted him and his two sisters. Bizzy was too young to understand that he had been abducted, being told that he had lost his mother, and grandmother. Eventually Bone was discovered on an Oklahoma reservation, and returned home to his mother. Later, when Bone was a teenager, he moved to Cleveland with his eldest sister, where he met the future members of rap group Bone Thugs-n-harmony, Krayzie Bone, Flesh ‘N’ Bone, Layzie Bone and Wish Bone. This group debuted in 1993 with the album “Creepin on ah Come Up”, and subsequently the rap group released nine albums, which added considerably to Bizzy Bone’s net worth. Unfortunately, in the late ’90s the members of the group decided to part ways, and chose solo careers. Bizzy’s solo career started in 1998. His first album, “Heaven’z Movie” gained critical acclaim, and sales meant that it was certified platinum. Bizzy is famous for his unique style while creating songs. and ’til now Li’l Ripsta has released seven albums, which ensured his future. Virtually all of Bone’s solo albums gained positive feedback, as he created something different with every album that was released. A lot of Bizzy’s songs are based on his own experience, his hard childhood and the problems he faced in personal life, so it might be that honesty in his songs drew attention of the fans. Other activities that have impacted Bone’s net worth include his appearance on the television program “America’s Most Wanted”, which was hosted by John Walsh. This program helps to apprehend the most wanted criminals. Bizzy told his story of being abused in one of the episode of this program; what is more, Bizzy created a song for the show, in which Bone encourages children not to be afraid and tell the authorities if something is wrong, especially if they are treated badly. In his later personal life, Bizzy Bone has eight known children, and claims to have 10 with four mothers, whose details are unknown. 3 Foster brother of Capo. Bully 2001 performer: "Jesus" / writer: "Jesus"